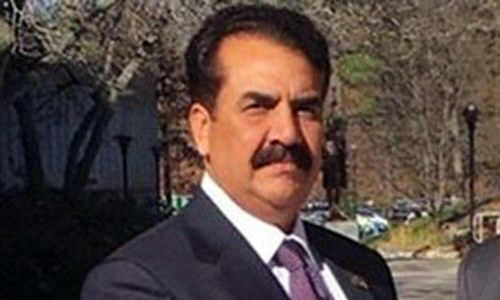 The appointment of former army chief retired Gen Raheel Sharif as the leader of a 39-country Saudi military alliance has sparked debate over how the move will impact Pakistan's foreign policy, and whether it was fully sanctioned by parliament. Reports of the appointment and Gen (r) Raheel's subsequent reticence regarding the development have given political rivals and pundits an opportunity to weigh in the transparency and importance of such a move. Pakistan Tehreek-i-Insaf (PTI) MNA Shireen Mazari responded to reports of the appointment by tweeting, "This [joining the alliance] will add to sectarian polarisation within Pakistan as well as greater regional instability. Parliament's approval should have been sought." PTI's Ali Muhammad Khan shared a similar view. "I want to hear it from the horse's mouth," Khan said on Geo's Capital Talk, adding that it is 'strange' that Raheel Sharif has remained silent on the topic since it first came to light. "It is time that we know what this alliance is and on what basis was it formed," Khan said. The PTI has said that it would raise the matter of the former army chief's appointment in parliament. Ex-military man and current National Security Adviser Nasser Janjua believes the appointment of retired Gen Sharif as the head of the military alliance would be a 'welcome step' for the Muslim world. "He [Raheel Sharif] will become a reason for the unity of Muslim Ummah," he said. "Gen Raheel Sharif will use his experiences and knowledge to remove internal misunderstandings among Muslim countries," Janjua added, saying that the former army chief's appointment would even benefit "anti-alliance countries, including Iran". Awami National Party Vice President Bushra Gohar called for the Terms of Agreement for the appointment to be made public. "Why was parliament kept in [the] dark?" she asked. "Was it part of recent political wheelings and dealings?" Federal Minister for States and Frontier Regions (Safron) Lt Gen (retd) Abdul Qadir Baloch in an appearance on DawnNews show Doosra Rukh said he believed the former army chief would "become controversial" if he led the Saudi military alliance. "I feel it might lessen the respect he has earned," Baloch said, adding that the appointment as head of the alliance will not have the same chances of success as in the Pakistan Army as it will be a "hop scotch alliance and we do not know what the system will be". However, Defence Minister Khawaja Asif remained diplomatic, and said the government is ready to issue him a No Objection Certificate (NoC). The Foreign Office, too, believes Sharif's appointment will not compromise Pakistan's long-standing policy of neutrality in Middle Eastern affairs. "Personal resolutions dominate, parliamentary resolution made a joke." Prime Minister Nawaz Sharif's Spokesman Musaddiq Malik on a programme on Aaj TV Faisla Aap Ka also claimed the decision on the alliance was made in line with parliament's decision regarding the matter earlier. PML-N's Talal Chaudhary earlier stated that no decision would be taken without the parliament's consent. "It will be up to the parliament to provide the former chief of army staff a no-objection certificate (NOC) on the matter," said Chaudhary. "As for the the Parliamentary Resolution of 2015, it stated that Pakistan would play a neutral role in the Yemen conflict to ensure an early resolution, the government will stick to that stance and the alliance will be a force to fight against the militant Islamic State organisation and other terror outfits," Chaudhary elaborated. 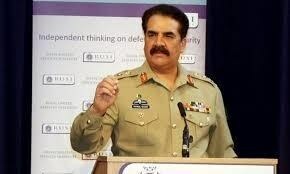 To me General Raheel Sherif is the most experienced and highly effective general to combat terrorism. Perfect position for him. Why should a retired army officer be subjected to parliamentary approval? Did we get any such approval for Hussain Haqqani or any other retired Government official joining any foreign post? He is more needed at home to eradicate the menace of terrorism. @MOth : Totally agree with you! If the alliance does not include a single Shiat-majority state, like Iran, Lebanon or Syria, than it is designed to divided the ummah, not to unite them. That makes it all the more dangerous. I don't trust the Saudis or the Pakistani government's pronouncements on the matter. With Gen. Raheel himself staying off the radar and mum on the subject, leads to even more suspicion. Amazing. Several weeks after this alliance was first announced, there is incredibly little know about its purpose and what it is suppose to deliver. EU has Christian Athiest alliance. Muslim world needs to build own alliance and fight against terrorism and aggressive nations which in the near future should work only if Sauidis have a propper leadership. Only if any one of the 39 members can even just level with the rest of us 1.5 billion and define the mission statement of this so-called 'Alliance' that would be good start. The fact even the the alleged members themselves are unsure of their membership, what is the purpose of this group, and what is expected of each member, itself lends to the mystery, wrapped in a riddle surrounding the Saudi initiative, which Pakistan is overly eager to be part of. @desilionking "Christian Countries (with the exception of Turkey) that has butchered millions of Muslims particularly in Iraq, Syria and Libya ." Most of the butchering being done is mostly directly by Emiratees, Saudis and Qatari forces in Yemen and Bahrain. Or indirectly through their military hardware, money, support and cooperation in all the countries you mentioned, including Afghanistan, Pakistan, Turkey, Lebanon, Yemen, Somalia and elsewhere. IS did not just descend from the sky in 2014 with all the arms, ammunition, uniforms, flag, recruits, thousands of identical vehicles, cash, communication gear, fuel, food, media cell and logistics without some wealthy state's sponsorship and largess. @desilionking NATO + RUSSIA they are systematically destroying the infrastructure of Muslim countries along with butchering millions. Look at Afghanistan, Iraq, Syrea, Libya, one by one. Where are WMD but Iraq destroyed and one is every family either missing or killed. Look at Allepo this time RUSSIA destroyed it and look at ISIS system destroying all history of Syrea and Iraq. May be my angle of doing analysis wrong? But not happy what is going on in Muslim world. Saddened to see what is happening in Syrea and Iraq. Pakistan and particularly the present or past leadership of country should getting entangled in controversial international conflicts and issues. Pakistan will eventually suffer a bad name as a result of participation in human atrocities in violent conflicts. @desilionking Islamic NATO bombing Yemen....wake up! @Falcon1 A few facts that need to be cleared, its 41 member now with two Shia majority countries. Oman and Azerbaijan. Azerbaijan has the highest percentage of Shia, higher than any other country even Iran. @Skeptic Most of butchering is done by Iran and its proxies, Yemen in particular which had peace to a certain degree and Iran decided to start something. Iran is trying to encircle Saudi Arabia and this is what most of it is about. Saudi Arabia is reacting. Iran is also supporting a dictator in Syria who is involved in mass human rights violations on his own people. @Right It is not an 'alliance' if you are included into a club without consulting with you, without your knowledge or consent. Neither Oman nor Azerbaijan are majority Shiat countries. Oman comprises,mainly Sunni Arabs. Please site your sources otherwise, or simply stay quite. Iran is the largest Shiat majority country in the world, and is not included in this dubious alliance, which no one has a clue about the purpose, mission, parameters, and contribution of each member. That says it all. Most controversial and sectarian bcs middle east Arabs vs Iran,Iraq, Yemen and Syria, Pak should keep away from this fire. Funny, when it suits Al Saud, they play 'Ummah' card. Thousands of Syrians, Iraqis have perished in the on going conflicts but no one talks about 'Ummah'. @MOth Your facts are backwards. Most of what has transpired in Iraq, Syria, Yemen or Libya has been largely due to US backed Saudi cabal, including Qatar and UAE. Not the Russians. Russians only entered Syria in 2015 at the invitation of Assad regime. US and her gulf allies have been instrumental in all the chaos around the Middle East and North Africa, to deflect public attention at home from their own corrupt ruling families... No other country is run as family run enterprise in any Arab country - including constitutional monarchies like Jordan and Morroco - except the GCC countries. No public debate, no parliament, no votes, no parliament and all the powers and wealth in the hands of few families. This is a far cry from an Islamic Republic, a theocracy like Iran, which as an elected president, a parliament where matters of national interest are debated and voted upon, public officials are held to account and no single family dominates the state affairs. @Mahmood No one can force anyone to be a part of an alliance. Any country can come out and say no we are not part of it. As far as Azerbaijan being the country with highest percentage of Shias, Islam is 98% of the population with 92% of those being Shia. Learn to use google or stay quite, plenty of sites will show the same data. If a staunch Shai majority country can feel the alliance is not anti Shia then perhaps it is not. Broad objective has been made public but yes I agree the details need to come out. The only way you can have a say in what the Alliance is all about is to have your man in there and that man is Raheel. As far as not upsetting your neighbor, that neighbor is never concerned with what Pakistan or Kashmiris feels when it cozies up to India so why should we be bothered with what it thinks. Nadeem Afzal Chan Gondal once said on a TV talk show that if you belong to Punjab you can commit any crime break any law nothing will happen to you. There are plenty of options available to Punjabis to break law at will without consequences. Better be him than any Saudi.. Absolutely clear with no controversy at all. Social brigade's should rest assured! @Falcon1 And I am by no means opposed to Iran or any other country joining. I think it will actually be better if it is more inclusive But we should not base our decisions based on what others might think. Pakistan should avoid taking sides between any two Muslim countries or group of countries, unless there is a valid reason for it. Its better that no Pakistani participates or leads the sectarian war. Pakistan has the second largest Shia population in the world and why aren't they opposing Raheel Sharif from leading the sectarian war? They are not clear on many subjects. They need a ton of clarification. @M.Saeed .... It has nothing to do with Pakistan's government. That is not logical. They could ask for approval if he took a government job in Pakistan. Now that he is a private citizen they cannot. They are violating his rights. 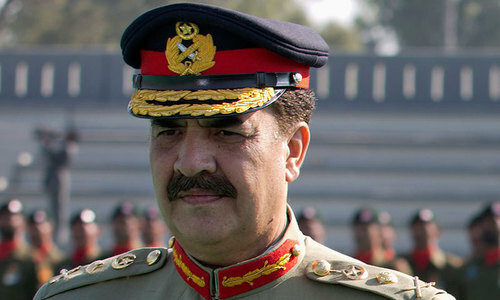 Congratulations for Gen. Raheel Sharif, he deserves what he has been selected for, best of luck to him. @Skeptic excellent analysis.....but facts hurt?!! No man with dignity and self respect should accept such an offer. Pakistan should not get involved in Middle-East Politics. Pakistani lives are not for Sale! @Mahmood please read your own comment you will find the answer, Iran is the only Shia majority country in the world... So Iran never wants to be a part of any alliance of muslim countries. Reasion being Iran is behind unrest in all muslim countries of the world. As the Arab league never achieved anything this coalition will not achieve anything. Saudi Arabia US biggest arms buyer and UK biggest arms buyer has amassed billions worth of arms in a already volatile region. Yemen children die every day , Famine is inevitable , hospitals are destroyed , Al Qeada and ISIS are expanding " yet no media coverage ? All I can say is that Persians have been around long before Pakistan came into existence and long before Arabs found oil wealth to start manipulating politics. Persians will still be around long after Arabs are gone. Unfortunately, no one in Pakistan thinks about long term. General is doing what any Pakistani will do. Think, and think again. Discuss it in the parliament, and come to a unified decision so that if anything goes wrong, no one will point any finger on others. This is how mature nations dispose of their national obligations. Pakistan is being run by a bunch of illiterates who have nothing to do with foreign policy matters!